Students & Volunteers for the Environment (SAVE) to Launch Annual Tree-Planting on 30 July (11 July 2016) | FEED, Inc.
SAVE Tree Planting Activity & Program Launch 2016 to take place on Saturday, 30 July 2016 @ Laguna Quezon Land Grant (LQLG), Siniloan, Laguna – in collaboration with University of the Philippines Los Baños (UPLB), Land Grant Management Office (LGMO). A WARM WELCOME TO SAVE PARTICIPANTS! FEED’s Students & Volunteers for the Environment (SAVE) Program is open to any individual willing to give their valued time, willing hands, useful planting supplies and/or donations to FEED. SAVE participants range from single individuals, to groups of friends, families and loved ones, clubs and or associations, young kids from public and other shcools; even senior citizens – all of whom are encouraged to participate. At the end of the half-day program, all registered SAVE Participants receive a Certificate of Appreciation in recognition and thanks for your active role in the global Climate Change movement. SAVE Participants share many common traits: we want to help reforest the Philippines, give back to the Earth, share meaningful moments with friends, loved ones and others, and return to Nature by through tree-planting. FEED’s SAVE Tree-Plantings with UPLB, LGMO are held every last Saturday of the month (during the rainy season from July – December/January annually) starting at 7:00am and ending after brunch around 12-1230PM at Laguna Quezon Land Grant, in Siniloan, Laguna, Philippines. FEED advisors comprise a range of botanists, ecologists, floral and forestry experts and practical research scholars and teams who are regularly consulted prior to the annual SAVE and CORPORATE SOCIAL RESPONSIBILITY (CSR) PATRON’s Program plantings. Together with the private sector and in consltation with FEED, a list of recommend tree and ornamental species – depending on site location and features (e.g. soil types, micro-climates, availability of indigenous seedlings, distance from nursery, local coimmnunty manpower, etc) – is approved on basis of its functionality and purpose in a designed tree-planting area. Of particular importance is the social and livelihood development opportunities available in these areas that provide an immediate socio-economic benefit to the local (often marginalised) communities, from job creation, food security and longer term opportunities in terms of maintenance of the seedlings planted to ensure 99% survival. FEED continues to expand its planting sites in response to requests from individuals and organizations all over the Philippines. Currently, links with Cavite, Bataan, Ilocos Norte, Tarlac, Leyte, Parañaque, Palawan and Samar are being explored with various local proponents. We welcome everyone’s suggestions, particularly links with academic and research centers that can house sustainable nurseries advocating bio-intensive gardens. Partering with a College, Public School or University enables FEED to “Train the Trainers” (TOT) to support capacity building and empowering more leaders and practitioners to adopt, practice and share the benefits of technical and expertise-based planting for the benefit of a larger community. Planting with FEED and partners includes expert-approved seedling purchase, planting, servicing, yield management and nurturing until its maturity. A qualified professional ecologist or forester will visit your tree(s) regularly for a 1-3 year period, depending on what has been planted and what requires regularity or intervention in maintenance – particularly outside the rainy season (July-December, annually). The visits will include (as needed) any pruning, checking basin for toxic materials, adjusting or removing screen, stakes, and ties, and inspecting for insects and diseases. The SAVE Participation Fee of PHP500 per individual entitles every SAVE Participant to plant 5 indigenous Philippine tree species seedlings, brunch and refreshments and a matching contribution to scholarships and tree-planting support for Agriculture, Environment, Forestry, Fisheries programs of FEED. As a non-stock, non-profit, NGO, FEED is recognized as a charitable organization registered with the Philippine Securities & Exchange Commission (SEC Reg. #: CN201119068). As such, all donations may be claimed as deductions for tax purposes in the Philippines, subject to the latest rules & regulations issued by the Philippine Bureau of Internal Revenue (BIR) for both individuals and corporate organizations. Proceeds of FEED donations are allocated directly to the LIVING LEGACY programs for the benefit of scholars, tree planting & reforestation, nursery development and other Bio-Intensive Gardening programs for communities in need of financial and technical support, such as public schools in marginalized areas. On request, FEED provides each donor with an Official Receipt (OR) of their respective donation. Please let us know if you require an OR for your record (email info@feed.org.ph). Written CHECK endorsed to Fostering Education & Environment for Development, Inc. (FEED). TELEGRAPHIC TRANSFER (TT) through your Bank to Fostering Education & Environment for Development, Inc. (FEED). DIRECT DEPOSIT (DD) on the FEED Account at Metrobank. See Bank Details below. CASH TRANSFER to a FEED Authorized Representative (Anne-Marie F. Mananquil Bakker or Diane Jane Penales) at FEED Office, Unit 23C Pacific Plaza, Ayala Avenue (Entrance on Apt Ridge Road), Makati City 1222. CASH DEPOSIT to FEED by 23 July 2016 – FEED can arrange a one-time payment at least one (1) week prior to the Tree-Planting for those Students and Volunteers who are unable to deposit via the options noted above. Please call/email/text FEED to confirm and arrange by 23 July 2016. NB: Participation Fees should be deposited at the latest 7 days prior to the date of planting by 23 July 2016 to guarantee your place and seedlings availability for planting. 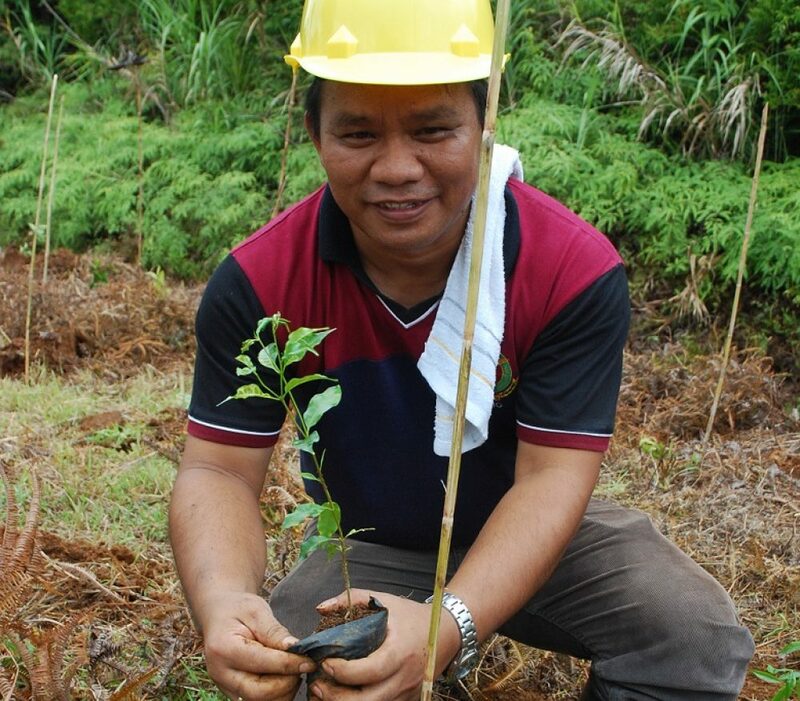 Only Official Receipts issued by FEED will be considered a proof of payment during the tree-planting itself. Bank Name: METRO BANK & TRUST CO.
Fostering Education & Environment for Development, Inc. (FEED) is a non-stock, non-profit, non-governmental organisation registered with the Philippine Securities & Exchange Commission (SEC Reg. #: CN201119068). We support sustainable education & reforestation, aiming to inclusively grow, preserve, protect and promote Philippine biodiversity – marine and terrestrial through a “RIDGE to REEF” approach – through Integrated social forestry, community enhancement & livelihood development projects; scientific and applied research in Agriculture, Environment, Farming, Forestry and Fisheries sciences and practices. FEED also aligns with the and Philippine INDCs (See References section). REQUEST FOR A REGISTRATION FORM (MANDATORY TO CONFIRM SAVE PARTICIPATION PLEASE COPY AND PASTE THIS SECTION & EMAIL THESE DETAILS TO INFO@FEED.ORG.PH BY 23 JULY 2016) from FEED at info@feed.org.ph. THANK YOU AND WE LOOK FORWARD TO PLANTING WITH YOU!! !